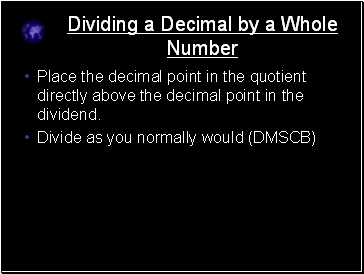 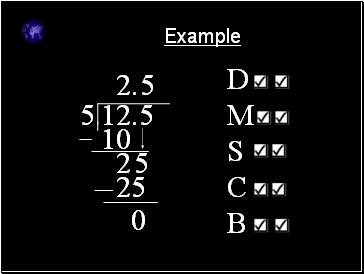 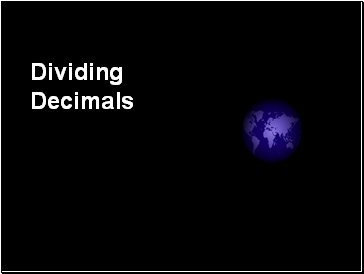 Place the decimal point in the quotient directly above the decimal point in the dividend. 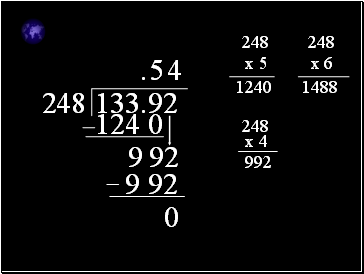 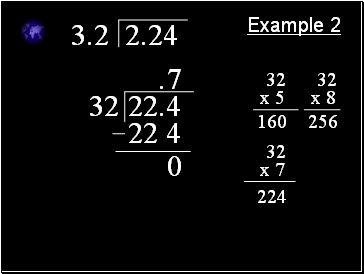 Move the decimal point in the divisor to the right, until you get to the end of the digits. 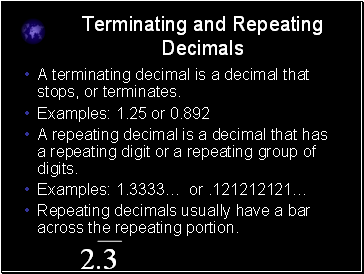 Count how many places you moved that decimal. 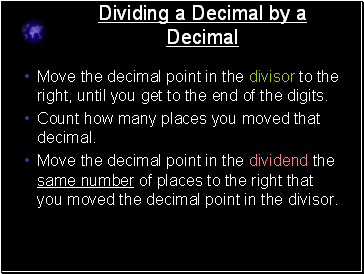 Move the decimal point in the dividend the same number of places to the right that you moved the decimal point in the divisor. 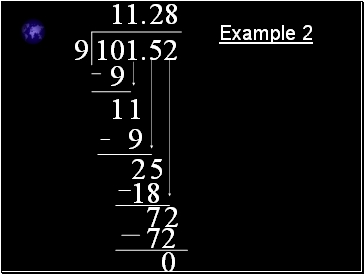 The decimal must be moved 2 spaces to the right. 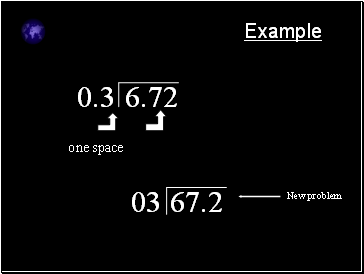 When we move this one 2 spaces, we find that we need to add a space. 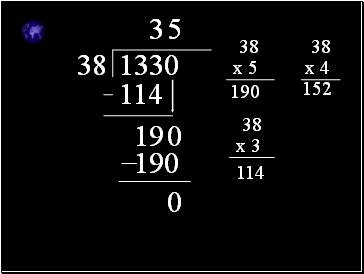 What will we fill it with? 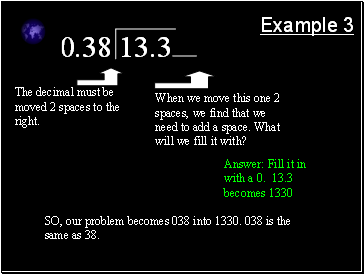 SO, our problem becomes 038 into 1330. 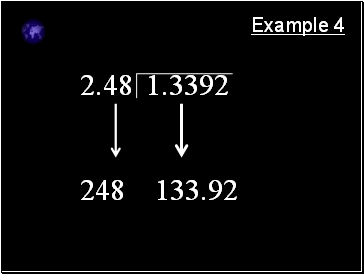 038 is the same as 38.